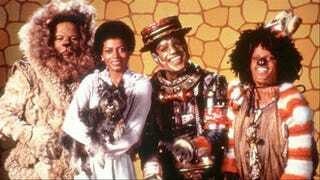 The Wiz Live! is coming to NBC in December and you (or someone you know) could be the next Dorothy. EASE ON DOWN. For those interested in playing the role of Dorothy in the upcoming musical production of The Wiz, NBC is holding an open casting call on June 6 in New York. ...a young African-American woman between 18-27 years old. She must have an extraordinary voice that can tell a story, as well as be mature with a youthful energy. Candidates need to be prepared to sing the songs “Home,” “Ease on Down the Road” and “Be a Lion” from the original Broadway production of “The Wiz. No one’s stopping you. Don’t doubt yourself. Auditions are being held at Telsey + Co. (311 W. 43rd Street, 10th Fl. ), from 10 a.m. to 2 p.m.
Stephanie Mills, who played Dorothy on Broadway in 1975, has already been cast as Auntie Em.